The uniquely designed Clip-Fit iPhone 6 Armband is the easiest way to use and protect your phone while exercising. Enjoy direct touchscreen and Touch ID access as well as access to all ports and buttons. 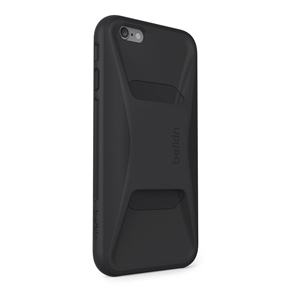 Never worry about taking your phone in and out of a case again. Clip-Fit is an all-in-one system that's so slim and comfy you may forget you're wearing it. Now you can concentrate on your workout, not your phone. 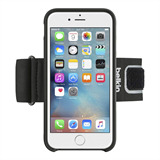 Clip-Fit iPhone 6 Armband has a unique, modular design that lets you use the same case at home, in the gym, or anywhere. 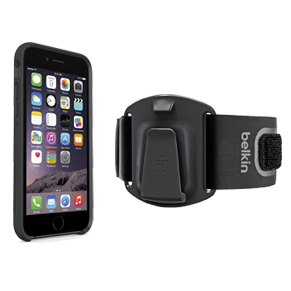 That's because it snaps on and off the armband's clip attachment quickly and easily - a secure clip that stays in place even during high-impact activities. Clip-Fit isn't just an all-in-one solution; it's the only case and armband you'll ever need. It's a snap. Literally. 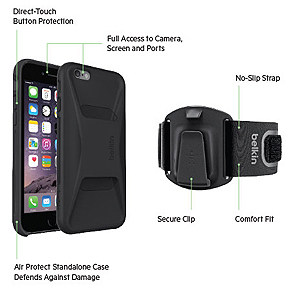 The case clips into the armband to form a secure attachment for when you're on the go. If you receive a call or need to change a song during your workout, simply unclip. It's that easy. Clip-Fit is part of our carefully designed and tested Air Protect series. With a rigid inner frame made of shockproof polycarbonate, it acts as a protective second skin, offering you bulk-free damage defense for your favorite devices. 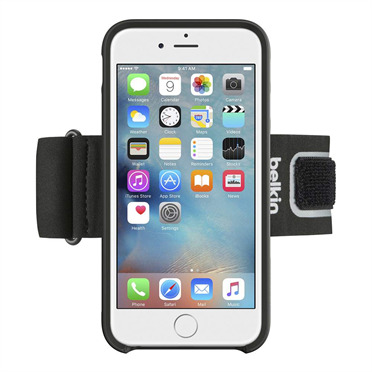 The Clip-Fit Armband for iPhone 6 is made of a flexible neoprene material that's both breathable and hand-washable. It fits snug against your arm to give you full access to your screen without adding extra bulk. Reflective fabric accents keep you safe and visible to others.